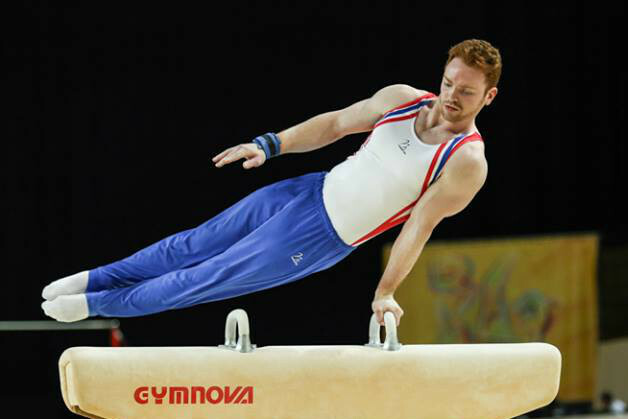 British champion Daniel Purvis has taken the European Championships men’s all-around bronze medal in a nail biting competition in Montpellier. Heading to the final apparatus, the pommel horse, just .007 of the bronze Dan knew that he had to remain composed and he pulled out a stunning routine to clinch his second European all-around medal having also taken bronze in 2011. The gold medal went to Verniaiev of Ukraine with Belyavskiy of Russia in silver and Britain’s Sam Oldham in sixth position. Sam produced a masterful high bar performance amongst his highlights, having suffered injury at the Commonwealth Games last year he was delighted to be back competing in a major championships all-around final and will have hopes of being amongst the medals in high bar on Sunday. Dan Purvis demonstrated his coolness under pressure throughout the competition with no major errors and highlights coming on floor and parallel bars as he totalled 87.423 points overall for the bronze medal. 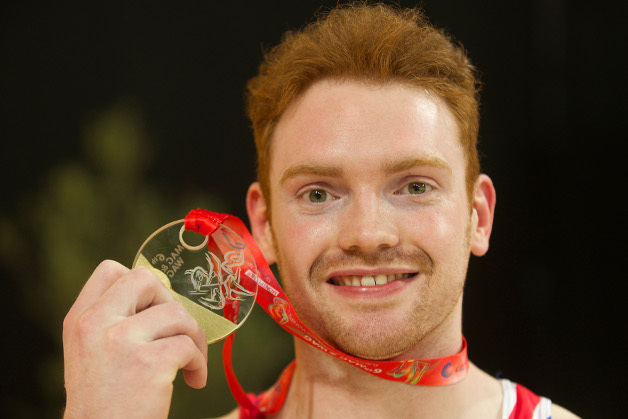 Dan Purvis was delighted afterwards saying: "This means so much to me, to be selected to do all around for Great Britain is a big challenge and to have this medal round me neck is amazing. There's some really strong young talent coming through so I've had to work really hard to stay up. 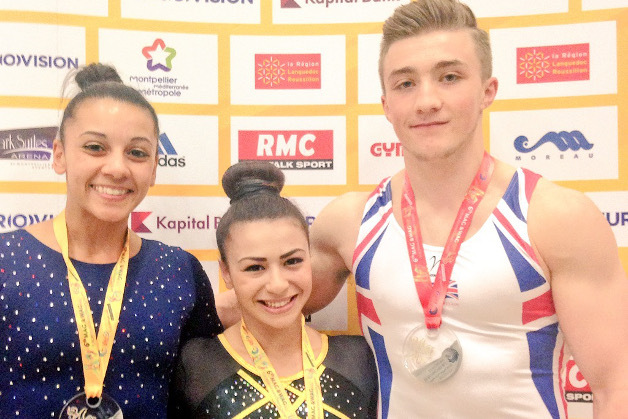 My maths isn't the best but I knew I needed to end well on pommel and it worked out, I'm really happy"
Sam commented after: “I’m disappointed with parallel bars which cost me a lot but really pleased how I pulled it back especially high bar. Incredibly happy to have made these championships and been in the final now the focus is on the high bar looking forward to Sunday"
Daniel Purvis began his final on the rings. He put in a really solid opening performance, the rings swinging slightly as he held his positions he scored 14.433 to equal his qualifying routine. Dan had trouble on vault in qualifying but found his form in the final to score 14.691 for his two and a half twisting routine. 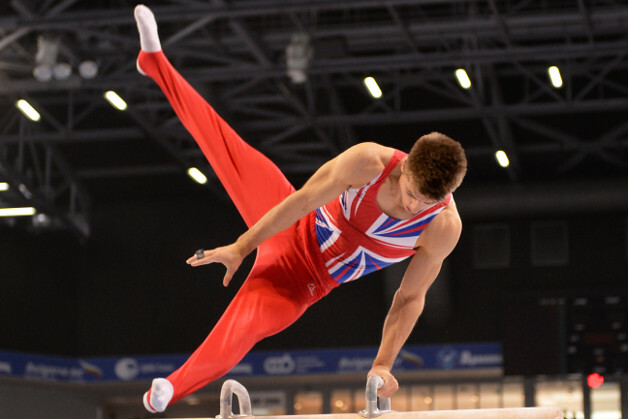 His consistency continued on parallel bars putting in one of the strongest routine of the final with great body lines in handstand on two and then one bar and solid dismount scoring him 15.000 and taking him into second place at the halfway mark. High bar was controlled, his one arm “giant” around the bar impressing the crowd, he landed with a step and scored solid 13.800 marks. On floor Dan was in outstanding form, his tumbling was high on difficulty but he made it look easy with near perfect landings throughout scoring a huge 14.933 points that left Dan heading to pommel just .007 points of bronze. He produced under pressure a superb routine, great rhythm round the pommel and a strong dismount to cheers from his teammates in the crowd a score of 14.566 and total of 87.423 points. Opening on rings Sam Oldham also looked to get off to a good start, he had to fight hard in places to hold his positions and had step on his landing for a solid 13.966. 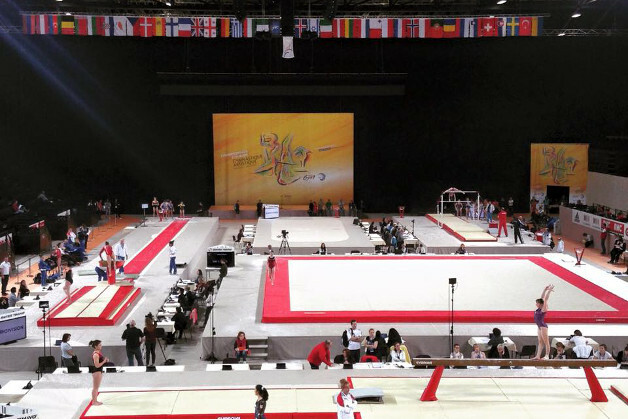 His vault was neat and precise bettering his qualification routine to score him 14.566 whilst on parallel bars he had to fight to reach handstand at one point and took big step on dismount scoring 13.433. Sam unleashed some huge skills on the high bar, consecutively releasing and catching het bar in a series that wowed the crowd, his dismount was landed stone dead for a score of 14.791 that saw hit shoot up the rankings. His floor routine was equally impressive with huge twisting tumbles all well controlled and flair work that the crowd loved to see, his score of 14.766 one of the highest of the final, his floor and high bar taking up to sixth in the rankings. His pommel routine continued his surge in the final, very smooth work with a perfect dismount giving him 14.666 and confirming sixth place with a total of 86.188 marks. 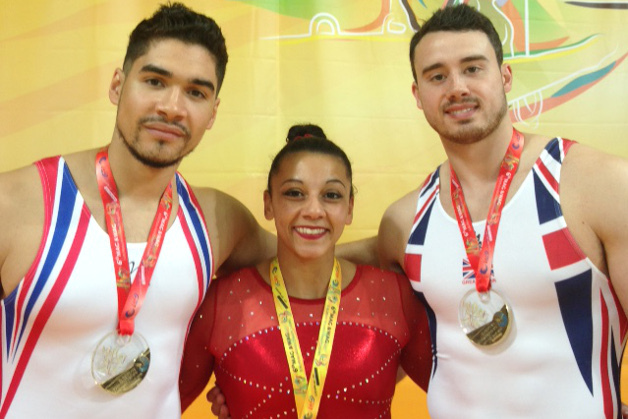 The championships continue on Saturday with the first of the apparatus finals with Kristian Thomas competing on floor, Louis Smith on pommel, Courtney Tulloch on rings and Claudia Fragapane and Ellie Downie up on vault and Becky and Ellie Downie on bars.